RCTT has compiled a rating (Top-10) of the most viewed in 1st Quarter of 2019 profiles of organizations of the National Academy of Sciences of Belarus, which are posted on the Virtual exhibition of the NAS of Belarus and the online CATALOGUE Innovation Technology Offers by Organizations of the NAS of Belarus. Republican Centre for Technology Transfer, as a co-organizer, invites R&D and industry experts, innovation SMEs to participate in the Brokerage Event "Innovate & Match 2019", which will be held in Bologna, Italy from 6 to 7 of June. 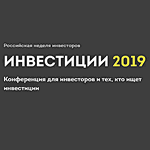 In April 10, 2019 in the framework of the at the XXVI ICT Forum TIBO-2019 was held the III International conference "Innovations - the driving force of digital transformation". April 5, 2019 the delegation of the Zhuji China-Russia International Technology Innovation Center headed by Mr. Huang Haitao, General Manager, visited the NAS of Belarus. In April 1 - 5, 2019 at the “Institute of Parliamentarism and Entrepreneurship" was held the installation session for master students of the 1st year correspondence courses in the specialty "Innovation Management". The Startup Visa in Lithuania is a new talent attraction scheme that provides a streamlined entry process to the Lithuanian startup ecosystem for innovative non-EU entrepreneurs. Designed for innovative startup founders who wish to establish a startup in Lithuania, you no longer need to fulfill certain capital or employment requirements to obtain a residence permit. If your business idea is deemed suitable by panel of the experts, you will be able to apply for a temporary residence permit on such basis. More information about the Startup Visa in Lithuania you can find here. 24 organizations of the National Academy of Sciences of Belarus will be represent at the 29th international specialized exhibition "Belagro-2019" (04 - 06 June 2019, Minsk, Belarus). The annual leading forum "BELAGRO" summarizes international experience in the agro-industrial engineering, which uses the search for original innovative solutions in the field of safe materials and waste-free technologies. List of organizations which will take part in the exhibition, their achievements and proposals for cooperation can be found on the Virtual exhibition of the National Academy of Sciences of Belarus. Republican Centre for Technology Transfer (RCTT) invites employees of regional offices and branches of RCTT to take part in the competition to participate in a training "Innovation and Entrepreneurship in the USA" which will be held in the United States in 2019 in the framework Professional Fellows Program. 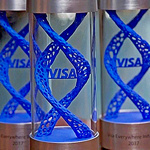 Republican Center for Technology Transfer as a communication partner of the event invites to take part in the competition Visa Everywhere Initiative 2019 in Russia and CIS, a global program for the development of innovation and support for start-ups. 7 organizations of the National Academy of Sciences of Belarus will be represent at the exhibition of Belarusian Manufacturers "Made in Belarus" (April 9 - 12, 2019, Almaty, Kazakhstan). The exhibition is aims to present the potential of the Belarusian economy to the Kazakh business and is organized by the Belarusian Chamber of Commerce and Industry with the support of the Embassy of the Republic of Belarus in the Republic of Kazakhstan. The exhibition operator is the Belinterexpo enterprise of the Belarusian Chamber of Commerce and Industry. List of organizations which will take part in the exhibition, their achievements and proposals for cooperation can be found on the Virtual exhibition of the National Academy of Sciences of Belarus. On March 15, 2019 a regular, third this year, training was held at the RCTT for specialists of organizations of the NAS of Belarus on how to use the Virtual Exhibition of the NAS of Belarus for promotion of organizations products, technology and services. Business Cooperation Centre “Enterprise Europe Network Belarus” (BCC “EEN Belarus”) presents Enterprise Europe Network Catalogue of Italian business profiles prepared by the Sicindustria (Italia). The catalog contains 2 business requests and 45 business offers related to the search of distributors and service delivery, particularly in Belarus. Five organizations of the National Academy of Sciences of Belarus will be present at the Exhibition within the framework of the 26th International Forum on Information and Communication Technologies TIBO-2018 (April 9 – 12, 2019, Minsk, Belarus). The "TIBO" Forum is held in the Republic of Belarus on an annual basis and represents a platform for the exchange of new achievements and best practices in the field of information technologies. List of organizations which will take part in the exhibition, their achievements and proposals for cooperation can be found on the Virtual exhibition of the National Academy of Sciences of Belarus. On March 4-5, 2019 a delegation of the NAS of Belarus consisting of Dr. Alexander Uspenskiy, Director of RCTT and Mr. Alexander Reshetnyak, Deputy Technical Director of the IR&D «ID Centre» visited the Korea Institute of Science and Technology Information (KISTI). RCTT invites all interested to participate in the webinar "Technology Transfer". This webinar will make you familiar with key questions and aspects related to technology transfer. 5 organizations of the National Academy of Sciences of Belarus will be represent at the 13th Azerbaijan International Agriculture Exhibition "Caspian Agro" (15 - 17 May 2019, Baku, Azerbaijan). 7 organizations of National Academy of Sciences of Belarus will be represent at the 9-th International Exhibition of Arms and Military Machinery "MILEX-2019" (May 15 – 18, 2019, Minsk, Belarus). List of organizations which will take part in the exhibition, their achievements and proposals for cooperation can be found on the Virtual exhibition of the National Academy of Sciences of Belarus. February 25, 2019 in Grodno in Yanka Kupala State University of Grodno attended classes under the advanced training program «Improving the Activities of Higher Education Institutions Based on the “University 3.0” Model» on the topics: “Legal Regulation of Intellectual Property and Marketing”, “Mechanisms for Commercializing Intellectual Property Results”. 6 organizations of National Academy of Sciences of Belarus will be represent at the exhibition "Smart Factory Expo + Automation World" (27 - 29 March 2019, Seoul, South Korea). List of organizations which will take part in the exhibition, their achievements and proposals for cooperation can be found on the Virtual exhibition of the National Academy of Sciences of Belarus. The training course “Commercialization and Technology Transfer” took place in Minsk on 18 – 22 February 2019. The event was held at the Researchers Training Institute of the National Academy of Sciences of Belarus. The course was attended by specialists of marketing services and researchers from the organizations of the National Academy of Sciences of Belarus, the Belarusian National Technical University, JSC AMKODOR and others.